by CDs, but we continue to utilize the same general format of morning didactics and afternoon glass slide review and small group interactions. One of our biggest successes was in the ever-expanding set of didactic lecture notes and radiologic, gross, microscopic, ultrastructural, and other images that course participants received, so it wasn't much of a surprise when we were approached by the publisher to consider creating an updated compilation of some of the best talks and packaging them in a monograph available to a broader population of physicians and scientists. With the extraordinary attention to detail that he is known for, my co-editor David Chhieng has been both the brains and the brawn of this project, resulting in the bringing together of such a collection while trying to be sensitive and representative of the various branches of pathology reflected in the actual course. 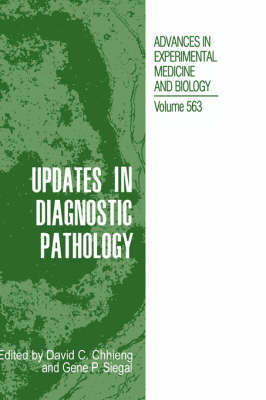 From surgical pathology, chapters cover select topics in endocrine, gynecologic, GU, and GI pathology with contributions from Walter Bell, Michael Conner, Katrin Klemm, and Audrey Lazenby, respectively. Tom Winokur has begun to prepare us for the near future with a treatise on molecular markers in breast cancer. The interactive nature of cytopathology and surgical pathology are brought together by Claudia Castro [now at the U. T. Medical Branch at Galveston] and David Chhieng in three chapters covering mediastinal, pleural, and pulmonary pathology.